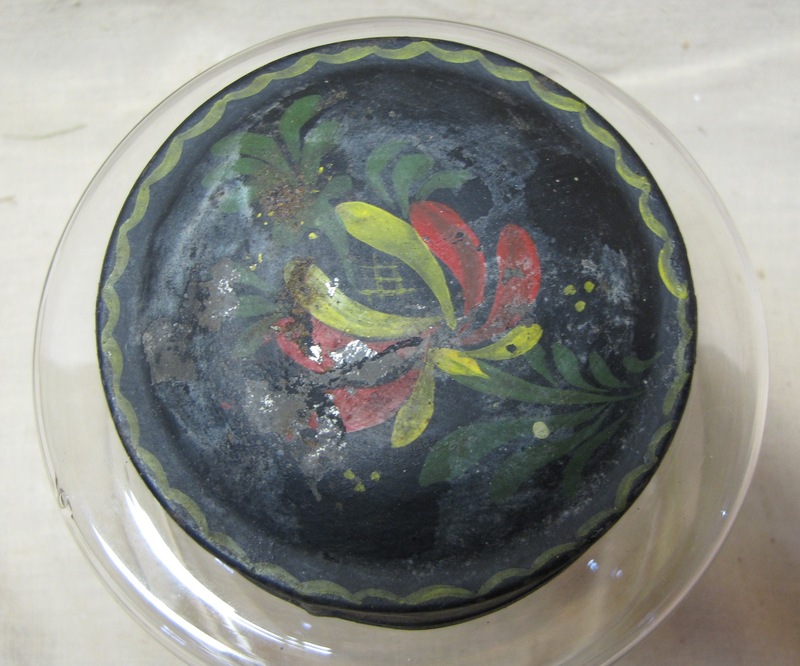 An early fine glass container with its original tole painted lid. I would date this from the first quarter of the 19th century from the glass work. It was probably used to hold tea. 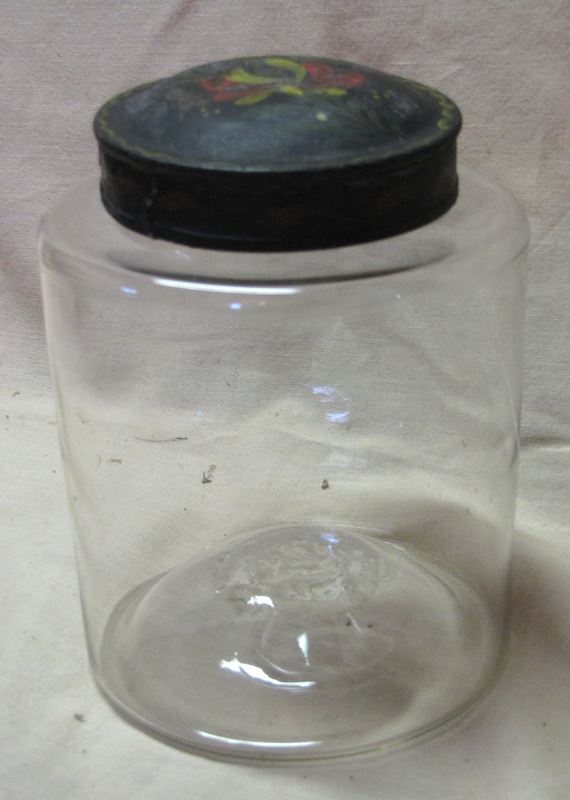 The glass is in mint condition and the tole lid shows expected wear. Height 7".